Ability understands that for all remedial work, you need simple to use, durable all weather resistant, easy to colour match products. Pathways, patios, driveways, walls, or any cement area that requires remedial work and that may be exposed to the elements, may require some form of protective coating for maintenance, colour matching and continuing weather resistance. Ability also formulates admixtures to strengthen and enhance concrete. 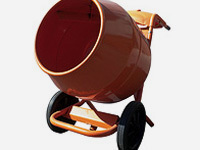 Please view our admixtures for concrete section here in our website.